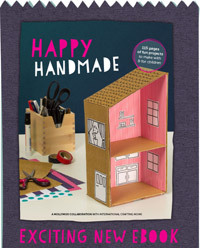 Old craft supplies or crafted items are great, but I love when they are practically untouched. You know that someone bought these things with a plan (or perhaps just to be prepared), and then they just sat there. It gives me comfort to know that I'm not the only one who does that, and that it's been going on for years and years. 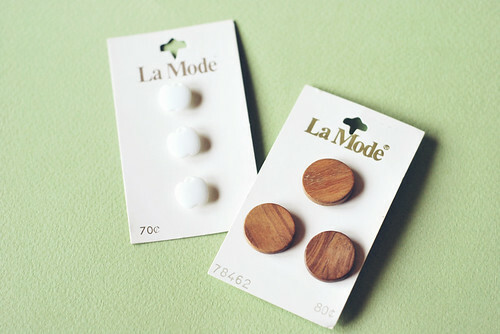 These are buttons of quality. It says so right on the package! 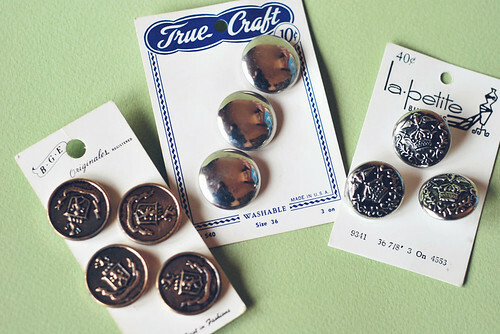 I'm not much of a fan of metal buttons, but I have to admit, these are pretty great. Love the colorful ones! And there are a couple packs of the green ones. Wood? Oh yes. 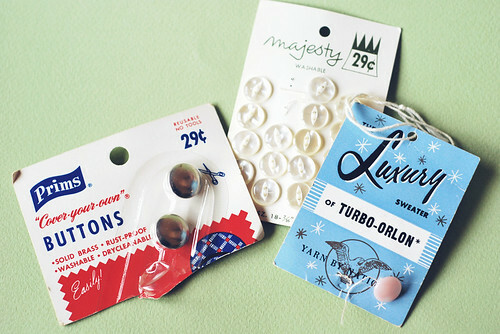 And the apples remind me of my childhood and looking through all of the "special" buttons at the fabric store. There are a few that have missing buttons, and I love them just as much. I like to think about the story of where they have been used. These and many other buttons on cards came to me as a sort of instant collection. They have been stowed away in a tin (and probably lots of other places if I were to go looking), but I think they need to come out. As I pulled them out to take pictures, an idea began to form. And idea for displaying them as art. Because I think they are pretty enough for that, don't you? the typography and design of some of those is so amazing! the blue 'Luxury' w/ all the sparkly stars !? awesome... . I think they would be beautiful displayed as art. Would love to see what you come up with! they are so wonderful! I have a collection also, though not as vast as yours. I love to think about all the possibilities for their uses! I love them! My niece collects buttons (5 years old) so my mom sent a letter to cappers magazine and she (niece) ended up getting buttons from all over the country. She received over half a mail tub worth so far :) Buttons are so simple and fun at any age. I love the idea of making them into art! 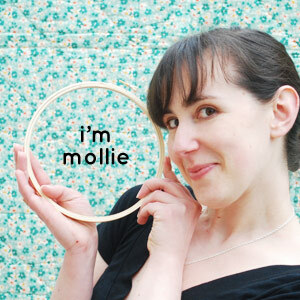 These are so great Mollie! 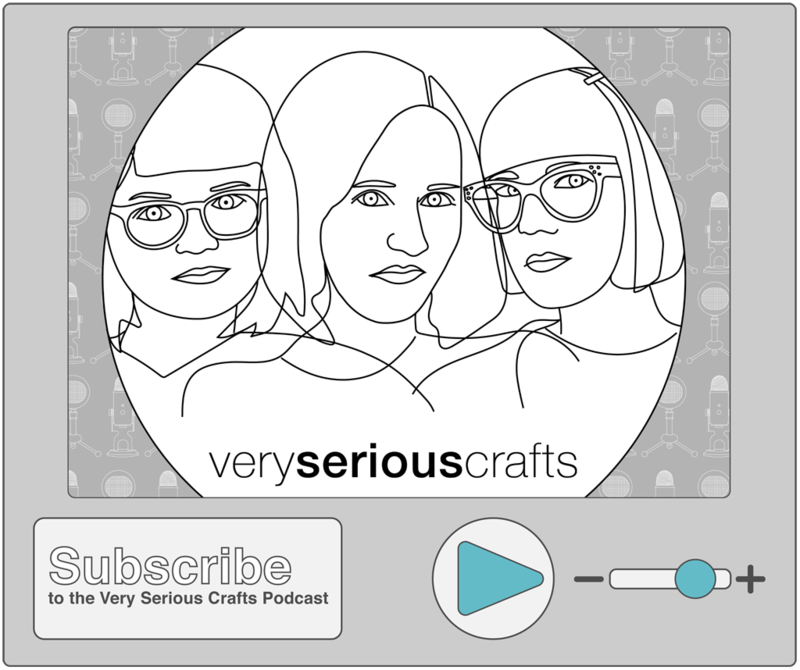 Not that you aren't already a busy lady, but have you ever thought about designing your own button cards? 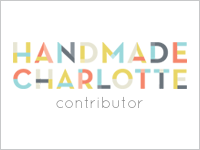 People that make their own buttons, or those of us with vintage buttons could use them to put new (or new to us) finds on! I LOVE old buttons still on their cards. I always look for them when I go to estate sales. They'd be amazing displayed as art! Umm - eek! 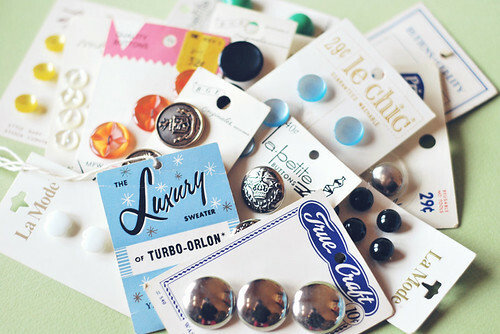 :) Vintage buttons (and their cards!) are one of my favorite vintage things! he he. I especially love when they have one or two used, with the little strings left over - the other still waiting for a happy home. :) Nice collection! I did custom framing for quite a few years and from that was inspired to frame some of my vintage notions in shadow boxes. I'm a big fan of art being more than a painting or a print! Can't wait to see what you do with your beautiful !gasp! 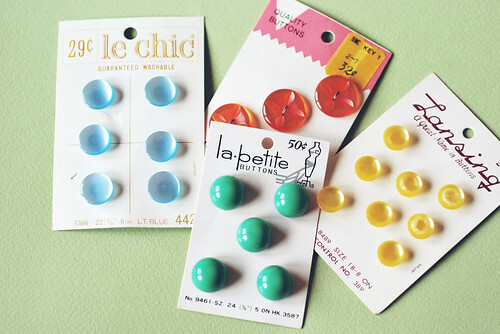 still-on-card vintage buttons! I always loved going through my mom's button jar when I was a kid, and found a jar at a flea market to jump start my own collection in my 20's. Since then I have been picking up sewing notions from Thrift Stores whenever I found an interesting bag, so I know what you mean. You, however, have a really interesting collection of buttons still on the cards! And I love looking at the fonts and styles of the button cards as well. What a beautiful collection you have. I'm not crafty ... at all. I wish I was but I'm not. I try ... and usually fail. 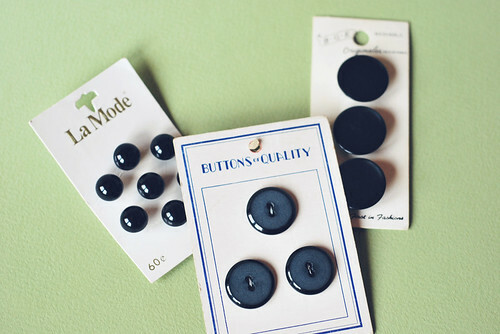 But the one sure-fire way I know how to spice up an old sweater or dress is with new buttons! 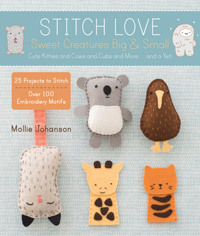 Love buttons!